We provide a fundraising platform for families wishing to raise funds for medical treatments that cannot be provided by the UK health service, including that for scoliosis. 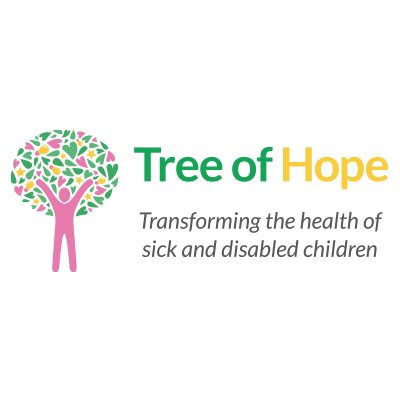 By choosing to fundraise through Tree of Hope, you will gain access to Gift Aid, potential grants from Trusts and corporate donations. To find out more about how we can help your child, contact us today. Scoliosis is when a person’s spine twists and curves to the side. Most people do have a curved spine, but if the curve is more than 10 degrees at the spine, then the person is likely to be diagnosed with scoliosis. Scoliosis affects more women than men. It can affect people of any age, from babies to adults, but most often starts in children aged 10 to 15. There are a variety of causes for scoliosis, including conditions such as cerebral palsy, Marfan syndrome and muscular dystrophy. Scoliosis doesn’t normally improve without treatment, but it isn’t always a sign of anything serious. Treatment isn’t always needed if it’s mild. Surgery is only recommended if the patient’s curve has progressed to an angle of 40 degrees or more. The Scoliosis SOS Clinic provide the UK’s only non-surgical treatment clinic for scoliosis sufferers (as well as those with hyperkyphosis and other spinal conditions), using physiotherapy techniques to combat the effects of this condition. To find out more and to enquire about your child’s scoliosis treatment, follow the link to their website: http://www.scoliosissos.com.